D.C. Central Kitchen prepares unemployed, underemployed, previously incarcerated persons, and homeless adults for careers in the food service industry. 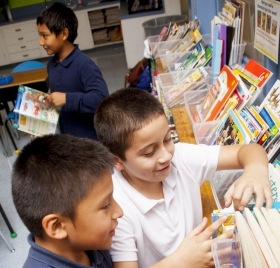 Fight for Children’s Joe’s Champs Program (shown here at Ingenuity Prep) increases the capacity of elementary school leaders to provide supervision, evaluation, and instructional support of their early childhood teaching staff. Miriam’s Kitchen strives to end chronic homelessness in D.C. through permanent supportive housing. Photo credit: Dr. Steve Steury. Bridges from School to Work helps businesses meet their workforce needs while offering young people with disabilities the opportunity to learn, grow and succeed through employment. China Hospitality Education Initiative (CHEI) receives World Travel & Tourism Council’s Tourism for Tomorrow People Award in Bangkok. The J. Willard and Alice S. Marriott Foundation was established in 1965 with the purpose of giving back to the community. 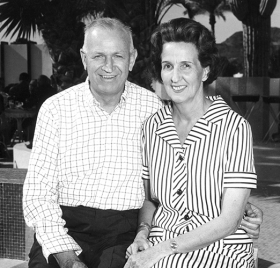 In 1985, shortly after the passing of J. Willard Marriott, Sr., the Foundation began actively making grants, led by Alice Sheets Marriott. The Foundation is dedicated to supporting exceptional nonprofit organizations that provide civic and human services, foster educational achievement, expand opportunities for youth and adults, develop the next generation of hospitality leaders and lead innovation in health and medicine. The Marriott Foundation is guided by a board of Marriott family members and a small, professional staff, working together to carry on the values and legacy of J. Willard and Alice S. Marriott.